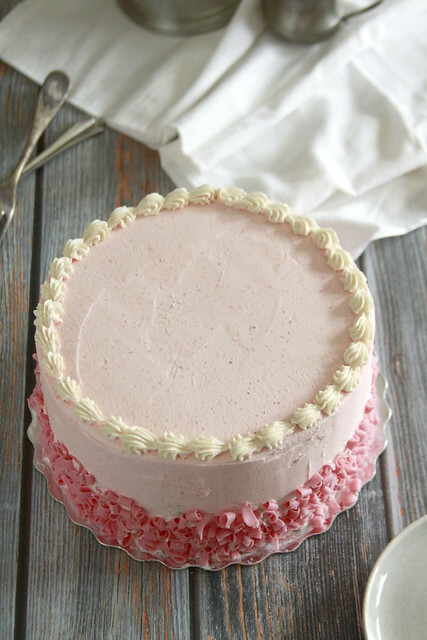 Enjoy this last bit of summer with this Browned Butter Strawberry Cake! 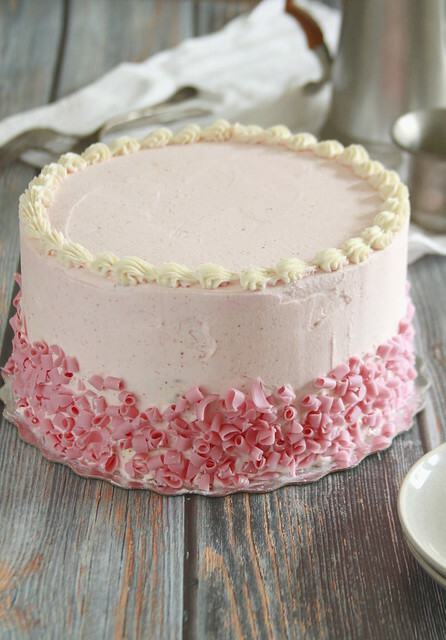 A fruity preserved strawberry cake pairs with a browned butter frosting! It’s not quite anything, seasonally speaking. You bring your sweater but leave it on the back of your chair. Nights cool, but not enough to evoke the fireworks of foliage. Beaches and lakes emptied out, spans of unadulterated rock and sand. Life is on the precipice of something. Call it a time of transition. 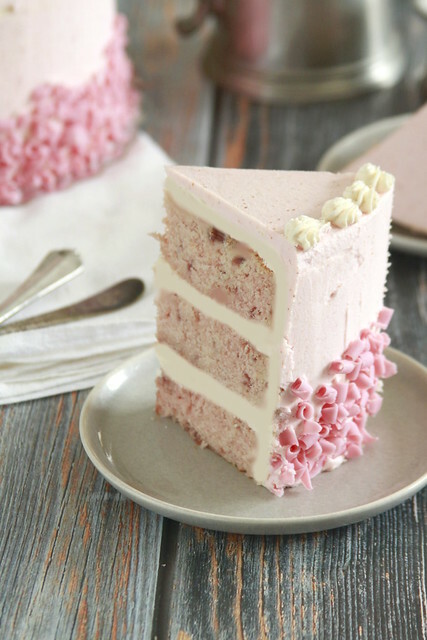 This Browned Butter Strawberry Cake is just that. Strawberry preserves—ripe with summer’s deep sweetness—bakes right into the cake batter. Browned butter buttercream is a shy hint, a nudge towards the warm, cozy palette of autumn. A delicate pairing, epitomizing this quiet, late summer world. 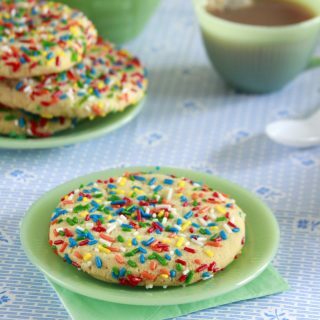 Preheat oven to 325 degrees F. Grease three 8-inch cake pans with baking spray, set aside. Sift flour, sugar, baking powder, and salt into the bowl of a stand mixer. With mixer on low, add milk, vanilla, beating to combine. Scrape bowl. With speed on medium, beat in eggs, one at a time, beating to just incorporate. Add in strawberry preserves and pink food dye. Divide batter between prepared pans. Tap pans against counter to remove bubbles. Bake for 30 to 35 minutes, rotating halfway. Invert onto a wire rack to cool completely. In a large heavy bottomed saucepan, melt 1 lb (4 sticks) butter on medium heat, scrapping the bottom frequently, until butter turns an amber color and acquires a nutty aroma, about 10 minutes. Pour into the bowl of a stand mixer fitted with a paddle attachment. Let cool for 10 minutes. Add powdered sugar, remaining butter, milk, vanilla, and salt. beat on a low speed to combine. Raise speed to medium-high beating until light and fluffy, about 2 minutes, scraping frequently, until combined. Switch out paddle attachment for a whisk attachment. Whip on medium speed for a final 2 minutes, this will make it light and fluffy. Divide frosting. Reserve 1 cup frosting and tint remaining frosting pink. 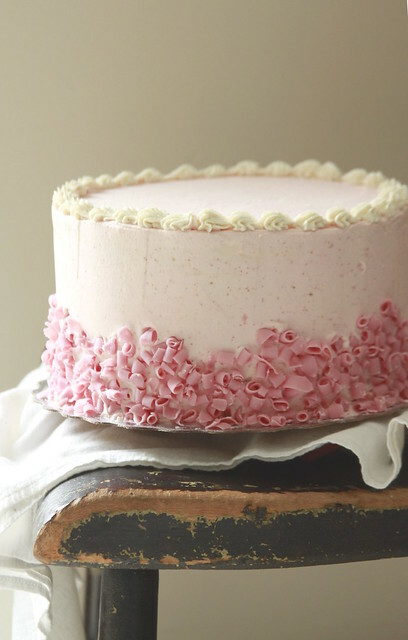 Use a serrated knife to level cake layers. Dollop a bit of frosting onto a cake board. 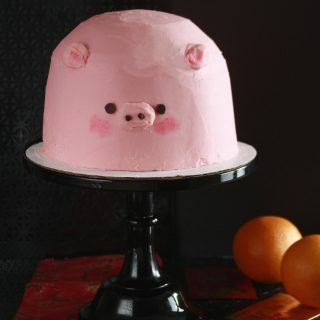 Secure first cake layer. 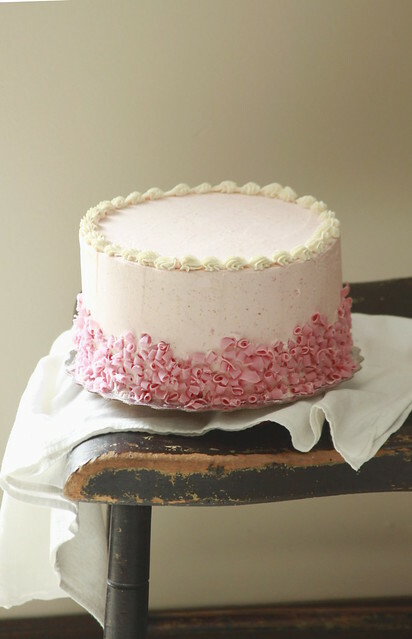 Spread ¼ cup strawberry preserves onto cake layer followed by a layer of frosting. Repeat with second layer, top with final third layer. Chill for 15 minutes. Apply a crumb coat. Chill for 15 minutes. 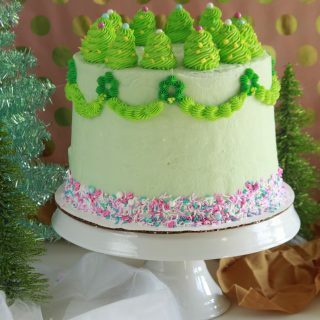 Chill then decorate with reserved white frosting. 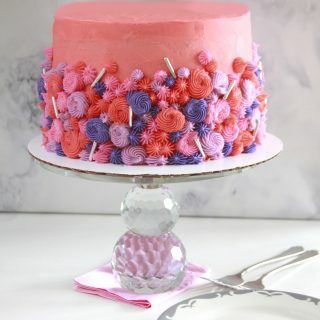 Decorate with pink chocolate curls.